''Ladies in Saris'' is a painting with a simple elegance that captures the beauty and simplicity of Ann Shrager''s experience of India. 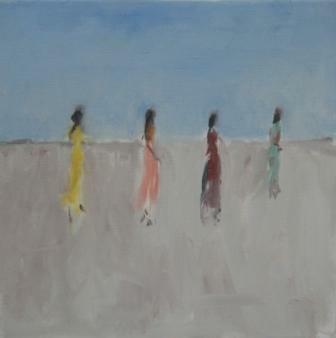 Recent travels to India have inspired her contemporary paintings. Shrager uses subdued tones to create a painting with a dreamlike quality.